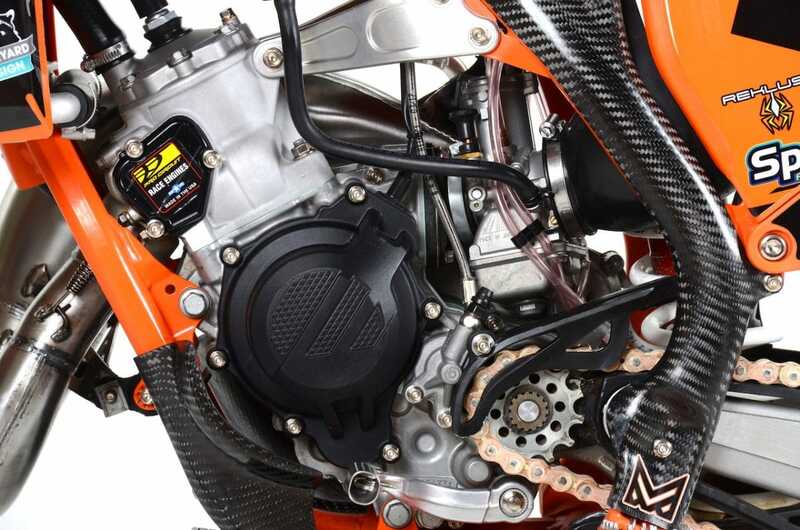 On this week’s Two-Stroke Tuesday we give you an exclusive first look at or latest KTM 125 project with Pro Circuit and WP North America. 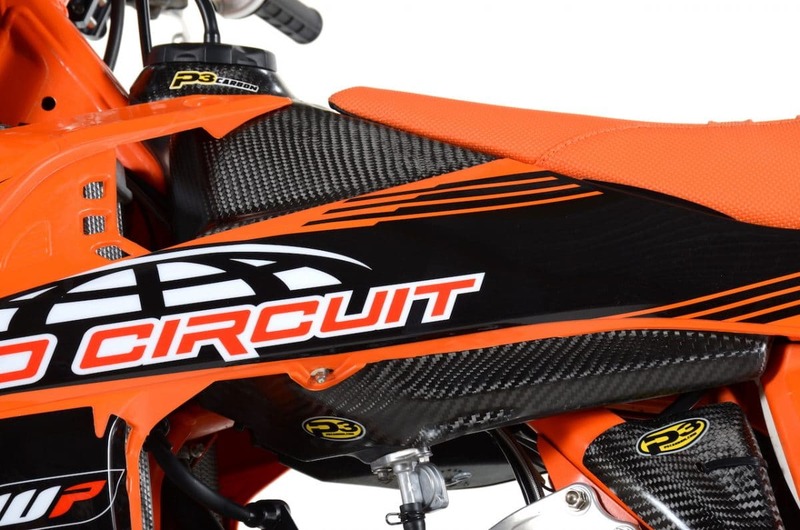 Products from Pro Circuit and Wiseco are featured in 2-Stroke Hardware. 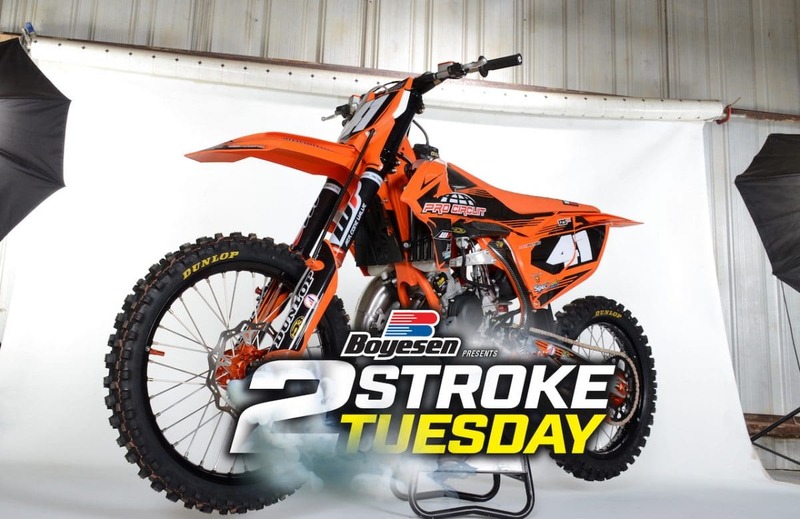 We packed 2-Stroke Theater with “After Shock” video featuring Cody Webb a KX300 project, 2018 125cc shootout and some raw action of the 2019 Yamaha YZ250X. Check out the exclusive link to an insane Honda CR125 build at the bottom of this post. 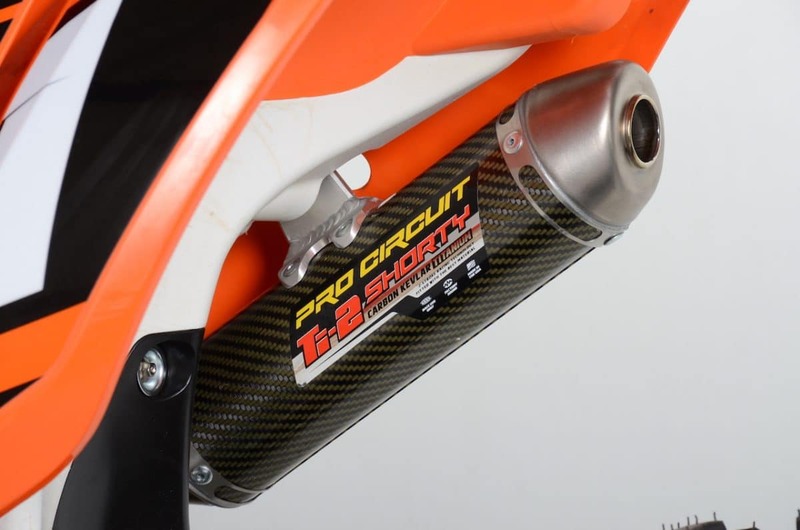 Pro Circuit put a ton of time into developing the engine on our KTM125 including designing a new exhaust that not only produces more power but is also lees likely to be damaged. The crew at WP dialed in the AER Cone Valve fork and Trax shock for out specific application and the Pro components are worth every penny! 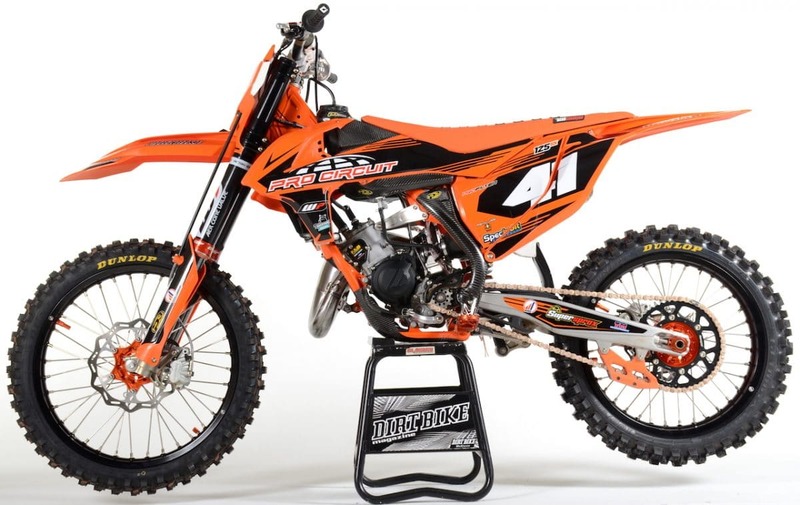 A Supersprox drivetrain and Dunlop MX33 tires helped get all the new found power to the ground. 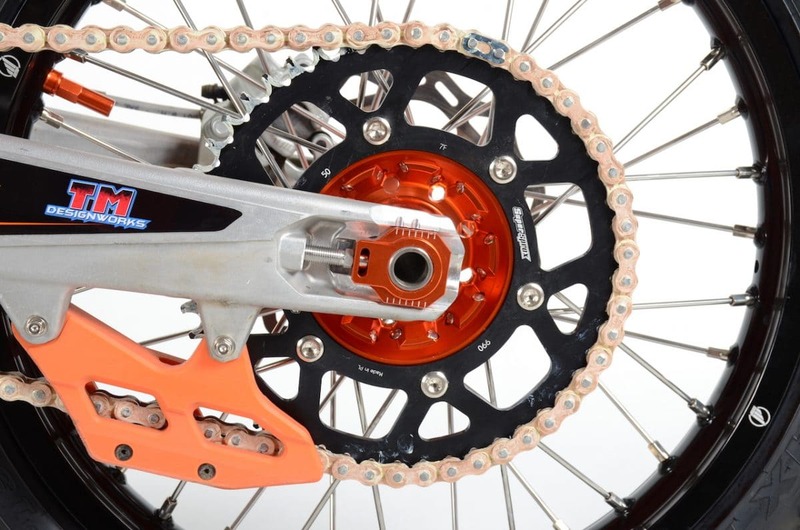 The low profile GP rear chain guide from TM Designs is built specifically for motocross use. We kept the stock bore and stroke so the bike is legal for the 125cc class. Pro Circuit ported the cylinder, milled the head and installed a Vertex piston made to their specs sold exclusively through them. Most of the engine hardware was replaced with Specbolt Nickel Würks pieces. The P3 Carbon tank cover gives the bike a trick look of a full carbon fiber tank at a fraction of the cost. Pro Circuits Ti-2 Shorty features a carbon-kevlar can and titanium piping. This is one of the trickiest silencers available to the public and Pro Circuits top of the line unit. 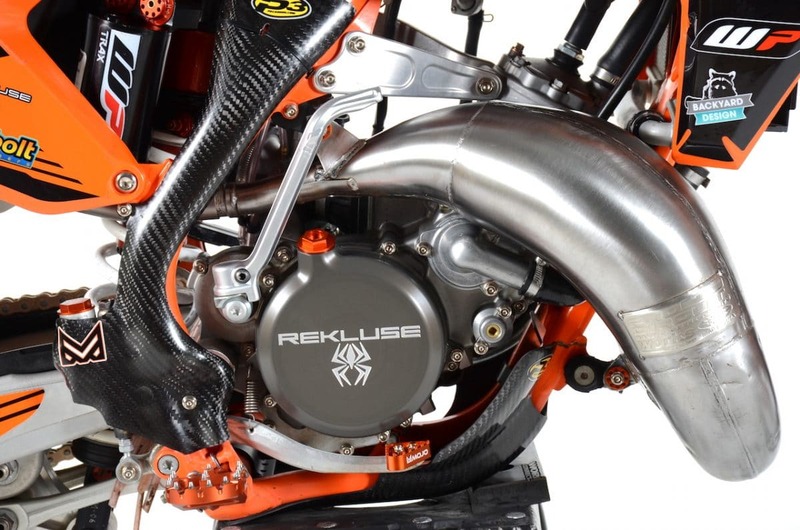 Rekluse now has Torque Drive setup for the KTM125. This allows you to adjust the amount of engagement through different spring configurations and contains more plates overall than the stock unit. The new system can be used with a OEM clutch basket. 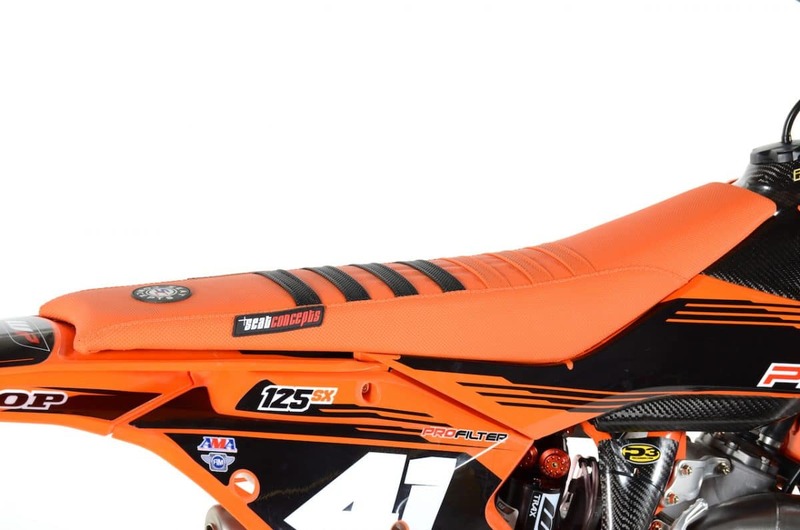 Seat Concepts has complete seats available for the 2018 KTMs available in a variety of color options and gripper materials . AMP Wheels made exclusively for AOMC added some bling to our build with anodized orange hubs, silver spokes and black rims.Backyard Designs USA topped the build off with a semi-custom graphics kit that gave us that factory look we wanted. 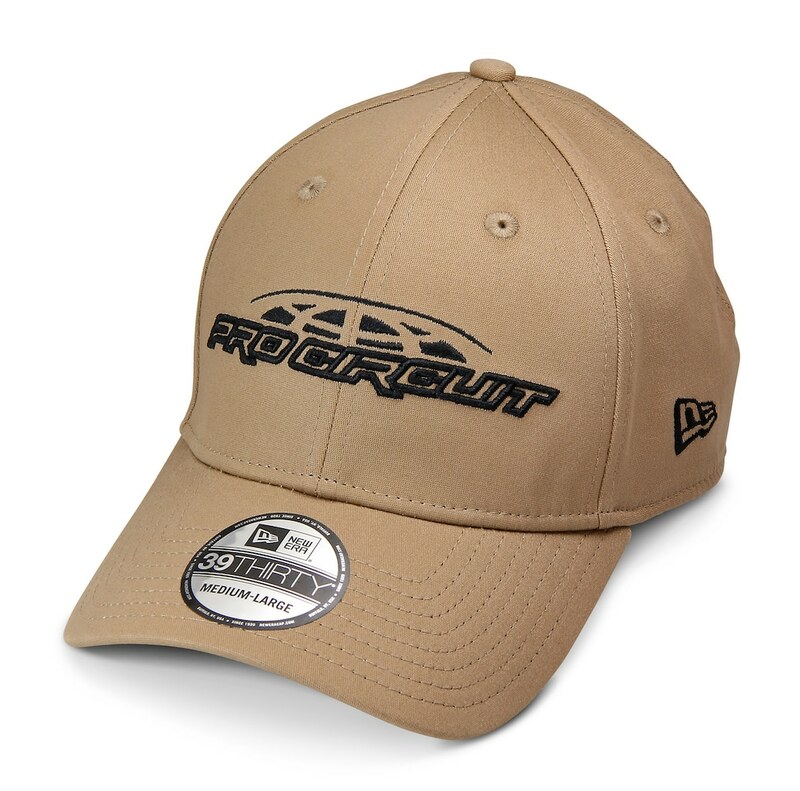 Hand-assembled by New Era the Pro Circuit Classic features the iconic logo embroidered on the front and their tag line “We Race” stitched-in on the back. This stretch to fit hat is available in black or tan in sizes ranging from small to xtra large. Wiseco’s new Garage Buddy engine rebuild kits offer everything you need for a top and bottom-end rebuild. 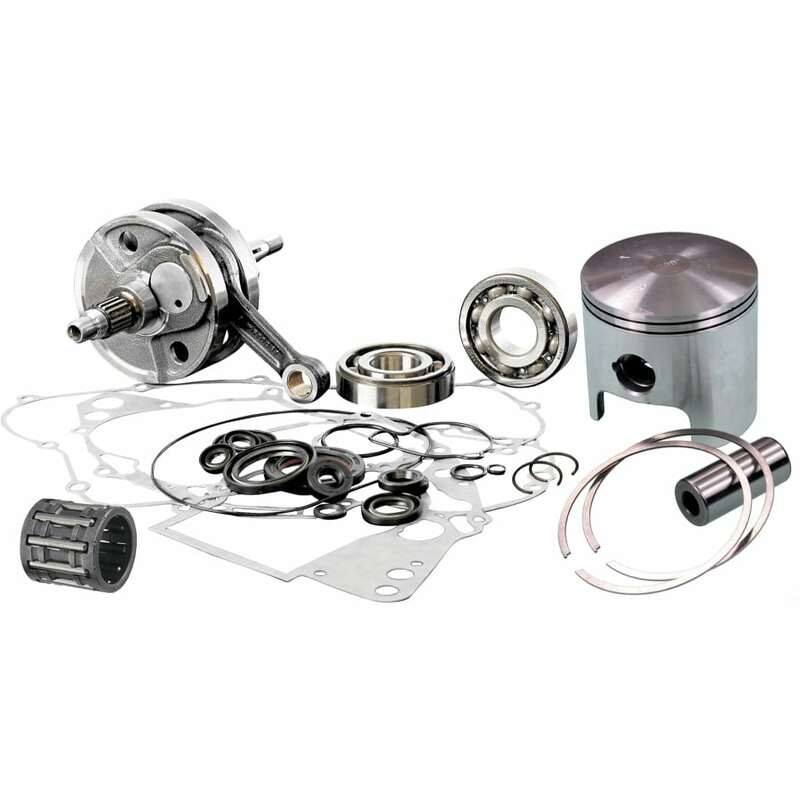 Crank to the piston kit, and even an hour meter to track maintenance, everything is included in one box. 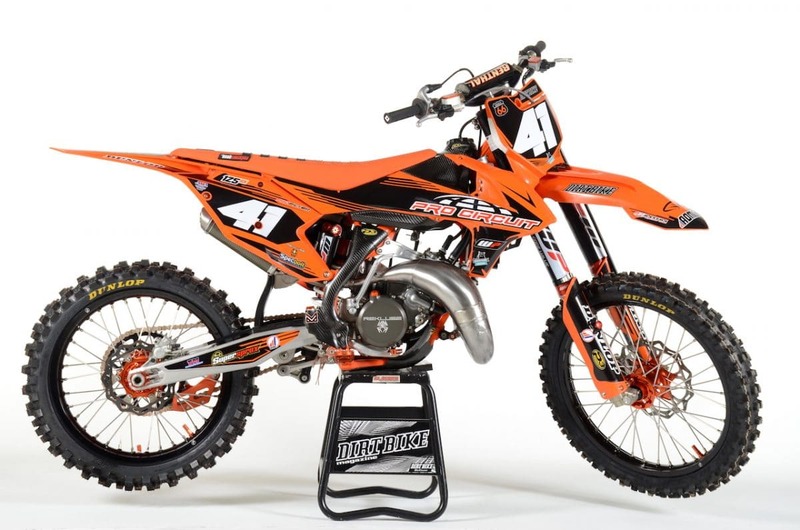 If you like the KTM125 featured on this week’s Two-Stroke Tuesday then you will definitely want to check out our Honda CR125 Dream Bike build. To see more click the image below.